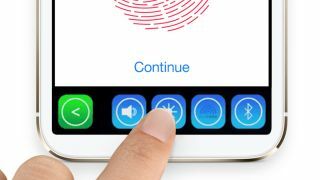 Apple could be ditching its celebrated Touch ID fingerprint sensor on the upcoming iPhone 8 in favour of a new “function area”, according to a new investor note from trusted Apple analyst Ming-Chi Kuo and as reported by 9to5Mac. According to Kuo, the MacBook Pro Touch Bar-inspired function area will sit underneath the display, replacing the Touch ID sensor with new and advanced biometric technologies that are said to be capable of offering similar security functionality. Like the aforementioned Touch Bar, the function area is also expected to feature virtual buttons that change depending on the context in which the phone is being used. This goes a long way to backing up another recent rumour, which posits that the iPhone 8 could have a fingerprint scanner built into its screen. It’s been speculated that this new technology is made possible by the iPhone 8’s rumoured bezel-free design and 5.8-inch curved AMOLED display. Kuo says that the handset’s regular display area will be about 5.15-inches, with the rest dedicated to the proposed function area. KGI Securities — the company Kuo works for and one of the largest securities films in Taiwan — has also posted a diagram which illustrates just how the iPhone 8’s display and function area will be laid out. In the past, Ming-Chi Kuo has correctly predicted the arrival of such features MacBook Retina displays and the introduction of Touch ID on iPhone. He also recently suggested that Apple is looking to improve security by incorporating facial recognition technology into the iPhone 8.